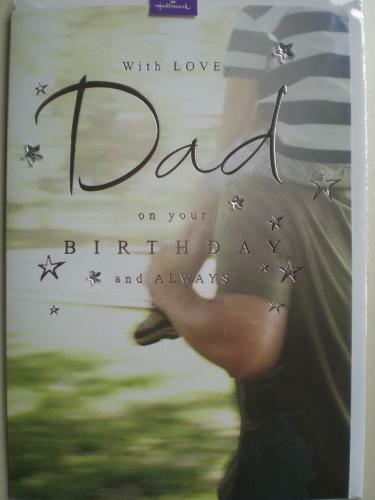 Lovely large card for your Dad finished with star gems and silver foil detail. The message inside reads "Like thoughts of everything you've taught and all the times we've had, of just how much it's always meant to have you for a dad.... Or all you've shared along the way, the things you've said and done to make the days more meaningful and life, a happy one.... But all these special words still seem inadequate and few to tell you how much love there is in every thought of you. Happy Birthday".